The Coachella Valley Preserve system was designed to protect an endemic, threatened animal, the Coachella Valley fringe-toed lizard (Uma inornata), found nowhere else in the world. Background: Lush fan palm oases border this unusual blowsand desert, a living landscape of dunes and hummocks scupted by wind, water, and time. Sandfields here sustain endagered Coachella Valley fringe-toed lizards, which escape the summer heat or predators by 'swimming' through the sand. The desert landscape camouflages flat-tailed hrned lizards, greater roadrunners, lesser nighthawks, and common poorwhills. Look among mesquites for LeConte's thrashers, Gambel's quail, and nesting black-tailed gnatcatchers and phainopeplas. Chollas hold the flask-shaped nests of cactus werens. A mile-long trail winds among fan palms at the Thousand Palms Oasis, passing pools inhabited by endangered desert pupfish. During spring the palms shelter many spring migratory songbirds and nesting American kestrels. Watch for squirrel burrows at the base of creosote bushers. Sidewinders, black-tailed jackrabiits, and bobcats are also present. For as long as 600 years, the Cahuilla Nation called the Coachella Valley home. Their life-style remained tranquil, traditional, and productive. It was not uncommon for family clan members to move as a group to a known waterpoint such as Thousand Palms Oasis, there to set up outlying rancherias, here they lived free, productive lives, and happily so, yet still apart of a designated village with its chief. In 1876 the Southern Pacific Railroad company laid two steel rails down the length of the Coachella Valley. The members of the Cahuilla Nation were placed on various reservations. The United States government had promised the Southern Pacific Railroad Company every other section of land for twelve miles on either side of the railway line at the completion of the railroad project. For the Cahuilla people, life was confined, but not totally so, since seed-gathering, their main source of food, continued. Thus it was that they remained semi-nomadic in search of various seeds and fruits in their season of ripening - until approximately 1915 when established agricultural pursuits by hopeful homesteaders offered employment and a new lifestyle. the dunes alive. Today the majority of the remaining, viable dune habitat is contained in the Coachella Valley Preserve system. The Experience: The preserve is considered to be the jewel of the Coachella Valley, 20,000 acres of pristine desert with 20 miles of established hiking trails and a Rustic visitor center (built in 1930s). 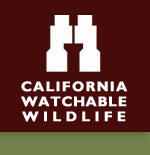 Wildlife and Where to Find It: Visitor center (760) 343-2733,trails from 5 minutes and easy to 4 hours and moderate. Viewing Tips: Birds of prey, songbirds, upland birds, and mammals are seen year-round. Songbrid viewing is excellent in spring and fall. Look for reptiles in summer, fish from spring through fall. Equestrian trails. Site Notes: More than 183 bird species have been recorded here, including Gambel's quail, black-throated sparrows, phainopeplas, black-tailed gnatcatchers and American bitterns. Cactus wrens nest among the chollas. Year-round, visitors can view songbirds, upland birds and birds of prey. Spring and fall are good times to view songbirds. Other animals include black-tailed jackrabbits, bobcats, and sidewinders. Reptiles may be seen in the summer. Spring through fall is the best time to look for fish in the pools. This area is very hot during the summer - be prepared. The Preserve includes a visitor's center and equestrian trails. Seasonal: Visitor Center: September, May, and June - open 8:00 am to noon. October through April - 8 am to 4 pm. July and August - closed. Parking Notes: Parking lot and trailheads are fine, not suggested to pull off on shoulders. How to Get There: From Palm Springs area, take Interstate 10 east 10 miles to the Ramon Road exit and drive east to Thousand Palms Canyon Drive. Turn north and drive 2 miles to entrance.